﻿ Valve Gearbox, Valve Actuator, Gear Operator - ZheJiang HongXu Machinery Co.,Ltd. 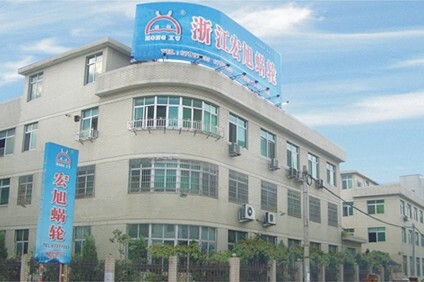 The manufactory is located in ZheJiang where is the famous of "the hometown of Valve&Pumps "in China, which is called ZheJiang HongXu Meachanism Co. ,Ltd. It is an modern enterprise of R&D, production, sales, after-sales service as one. we are specilized on the Valve actuation device: valve gearbox, valve actuator, gear operator, single-stage worm gearbox, double –stage worm gearbox, network gearbox, air-separation reducer gearbox, singal-style worm gear box and Bevel gearbox etc. Our company has the strong technical force and excellent facilities. had passed the ISO9001 quality system certification,and stricted on production and management according to the rules of International Standard. with the development of the demand on the quantity from our foreign & domestic customers. we devoted to complete the enterprise system and enlarge the scale of production. especially imported CNC lathe, Worm grinder, Cart, Shot bla cleaning machine, Vertical lathe and high-frequency heat treatment equipment. and also by the virtue of many years experience on R&D and Production, with the best quality of our goods get prestigious from our clients over the world. Directing by the manage guidline "innovate on R&D, perfect on service" HongXu will be adapted to the newly technologies for new valve actuation device. to achieve the purpose of suppling more high-quality and more comperhensive services on each details for our international and domestic customers.